Lots of great inspiration today! I find these techniques very challenging! Below is my sad attempt. 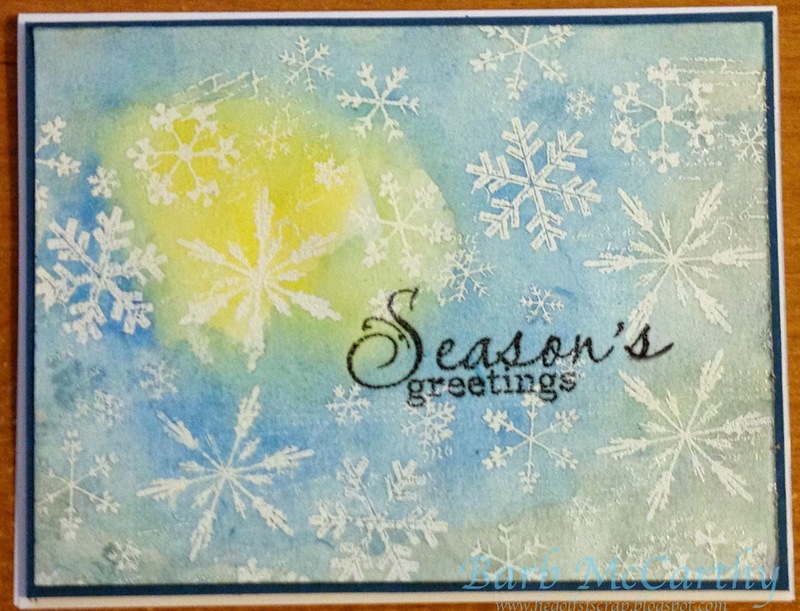 I used Unity Stamp Company's snowflakes from the"Tags, Glorious Tags" set. The sentiment is from Simon Says Stamp "Holly Berries".